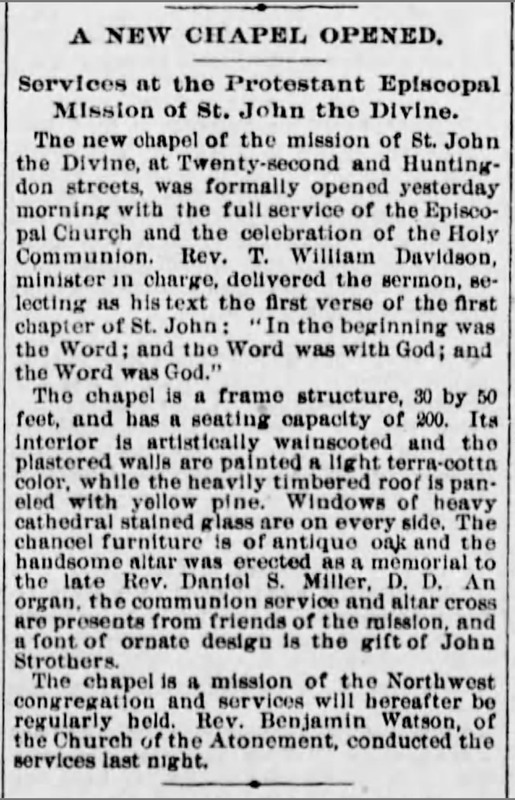 This entry was posted in Church of St. John the Divine and tagged Benjamin Watson, Daniel S. Miller, North Philadelphia, Philadelphia Times, T. William Davidson on October 4, 2015 by mjk38. 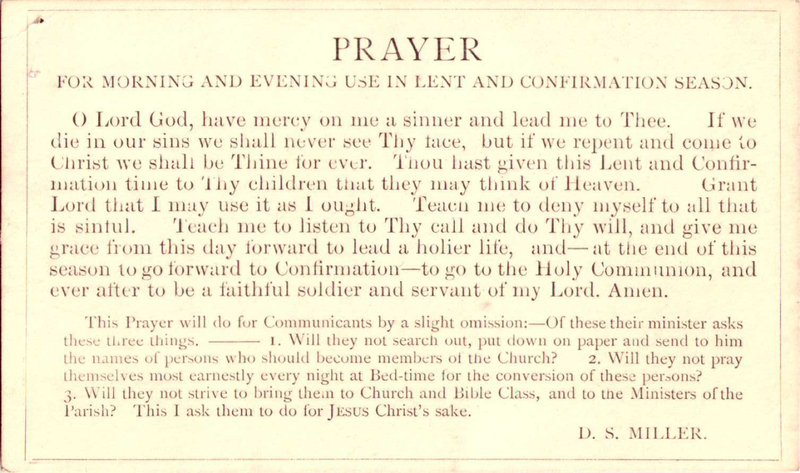 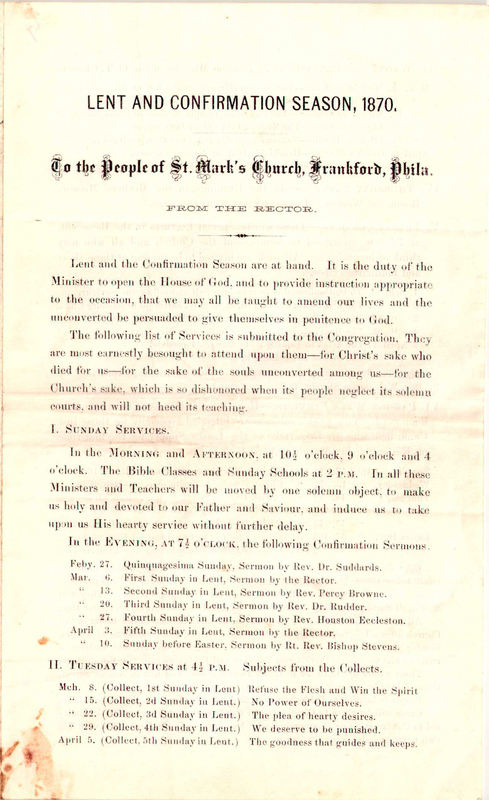 This entry was posted in Church of St. Simeon and tagged A. Augustus Marple, A. Edward Thomas, Alex Brown, Andrew Wheeler, Benjamin G. Godfrey, C. Stuart Patterson, D. D. Nichols, D. R. Goodwin, Daniel S. Miller, Edmund Smith, Edward Olmstead, Eugene H. Munday, George B. Roberts, George C. Thomas, George H. Kinsolving, H. M. Kimmey, Isaac L. Nicholson, James De Wolf Perry, James M. Aertsen, James S. Stone, James W. Paul Jr., James W. Robins, John A. Childs, John Ashhurst, John Blake Falkner, John Bolton, John E. Baird, John Huggard, John K. Murphy, Joseph D. Newlin, Lewis H. Redner, North Philadelphia, Orlando Cease, P. P. Morris, R. Bowden Shepherd, Robert C. Matlack, Robert Evans Dennison, Samuel David McConnell, Solomon Shepherd, T. Broom Belfield, Thomas C. Yarnall, Thomas F. Davies, Thomas H. Montgomery, Thomas K. Conrad, Thomas L. Franklin, Thomas S. Rummey, Vaughan Merrick, W. Beaumont Whitney, William Bacon Stevens, William F. Nichols, William H. Graff, William Henry Haupt, William N. McVickar on September 14, 2015 by mjk38. 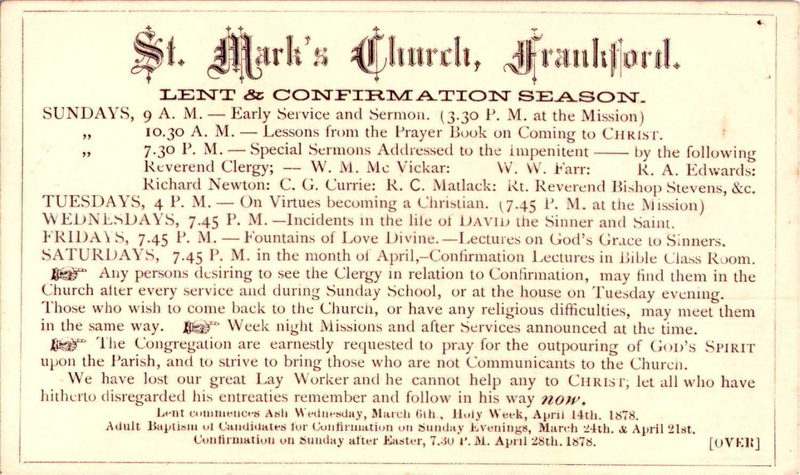 This entry was posted in St. Mark's Church (Frankford) and tagged Daniel S. Miller, Frankford, Northeast Philadelphia, Richard Newton on April 6, 2015 by mjk38. 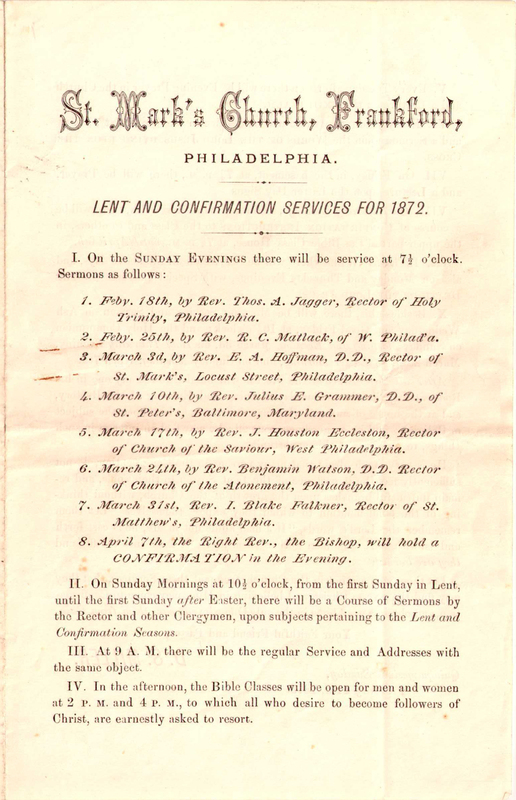 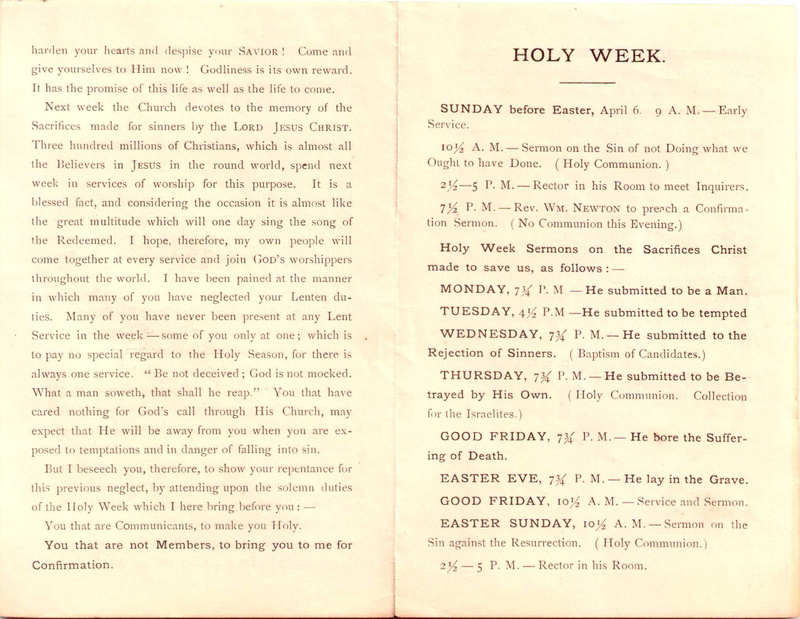 This entry was posted in Church of the Resurrection (Mayfair), Emmanuel Church (Holmesburg), Memorial Church of St. Luke the Beloved Physician, St. Andrew's in the Fields Church (Somerton), St. Bartholomew's Church (Wissinoming), St. Mark's Church (Frankford), St. Paul's Church (Aramingo), St. Stephen's Church (Bridesburg), Trinity Church (Oxford) and tagged Albert F. Fischer Jr., Daniel S. Miller, Donald L. Farrow, Edmund H. Carhart Jr, Frankford, Frederick Burt Avery, George Sheets, Henry F. Kaufman, Henry S. Spackman, John B. Harding, John M. Weber, Leslie M. Potter, Northeast Philadelphia, Robert C. Booth, T. Gordon Ott on March 9, 2015 by mjk38. 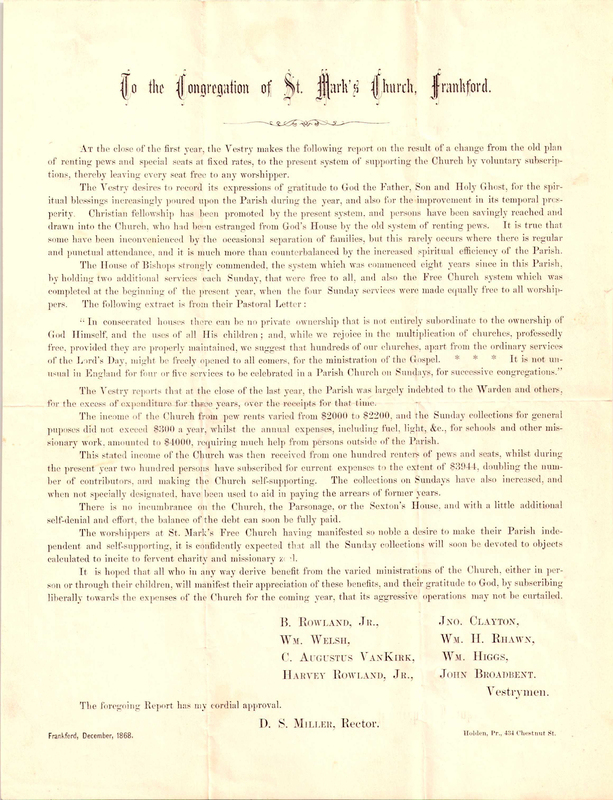 This entry was posted in St. Mark's Church (Frankford) and tagged Benjamin Watson, Daniel S. Miller, Eugene A. Hoffman, Frankford, J. Houston Eccleston, John Blake Falkner, Julius E. Grammer, Northeast Philadelphia, Robert C. Matlack, Thomas A. Jaggar on October 23, 2014 by mjk38. 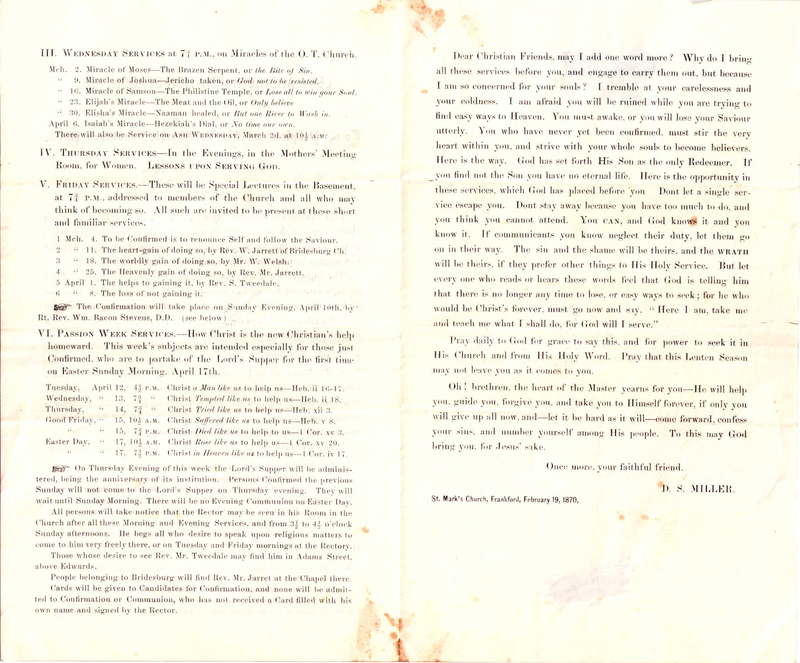 This entry was posted in St. Mark's Church (Frankford) and tagged Daniel S. Miller, Frankford, Northeast Philadelphia, Pew Rents on October 16, 2014 by mjk38. 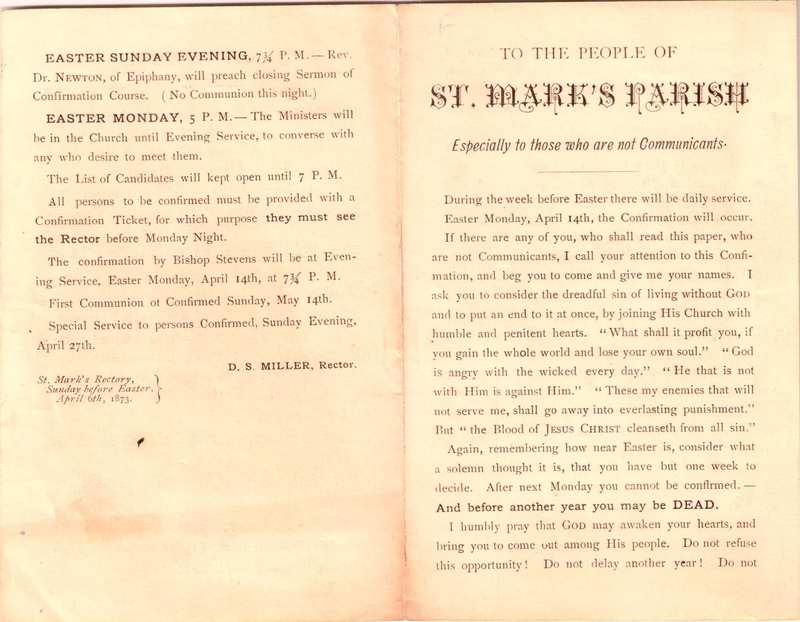 This entry was posted in St. Mark's Church (Frankford) and tagged Daniel S. Miller, Frankford, Northeast Philadelphia on October 12, 2014 by mjk38. 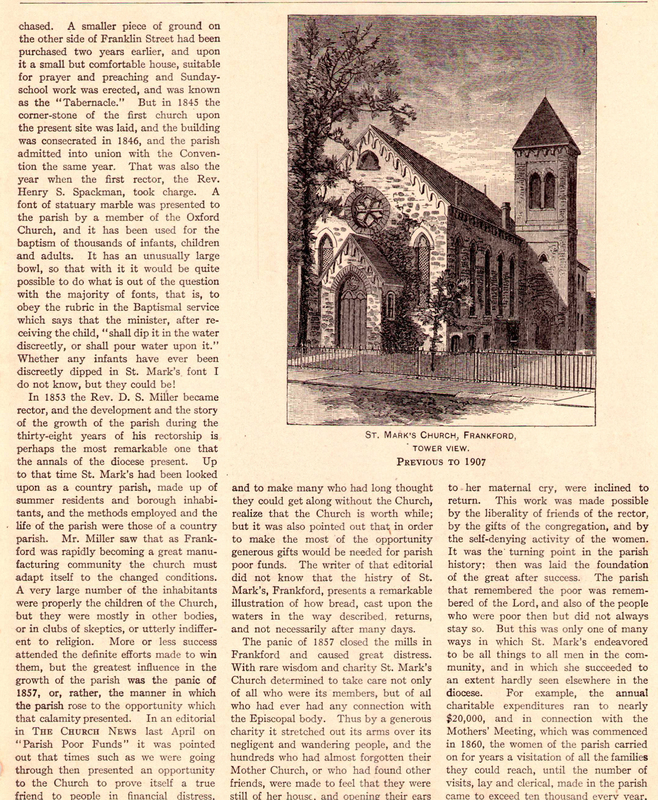 This entry was posted in St. Mark's Church (Frankford) and tagged Daniel S. Miller, Frankford, Northeast Philadelphia on September 27, 2014 by mjk38. 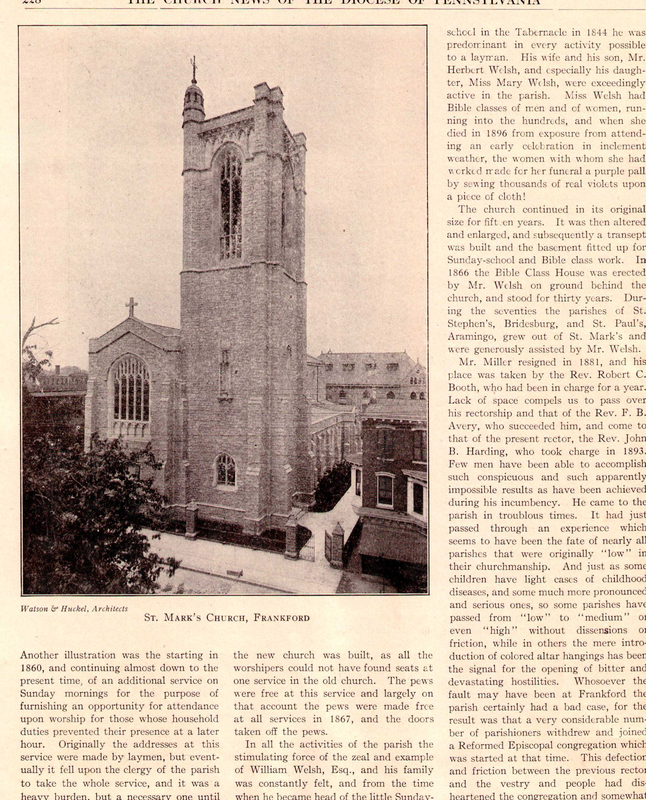 This entry was posted in St. Mark's Church (Frankford) and tagged Daniel S. Miller, Frankford, Northeast Philadelphia on August 23, 2014 by mjk38. 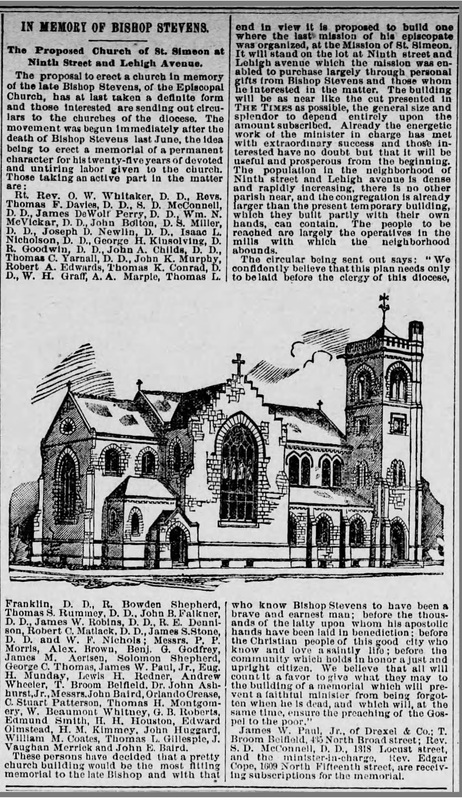 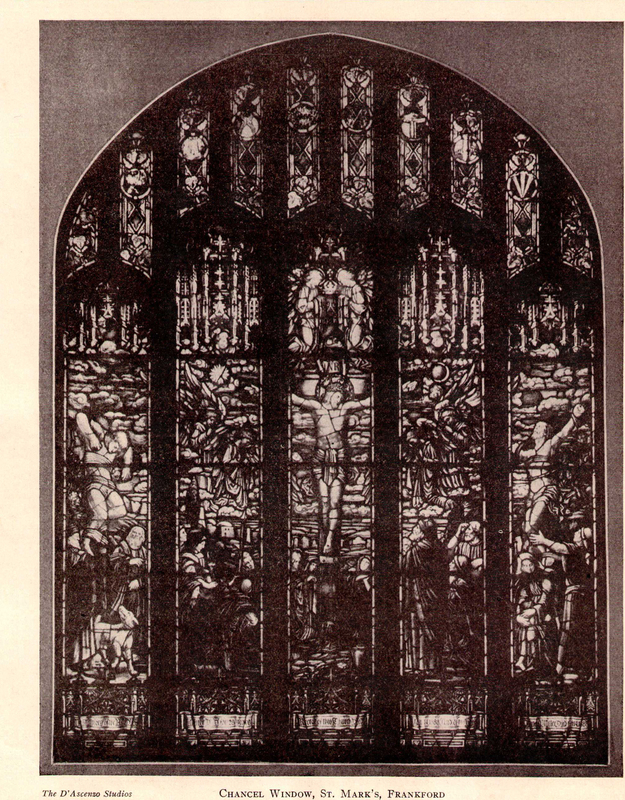 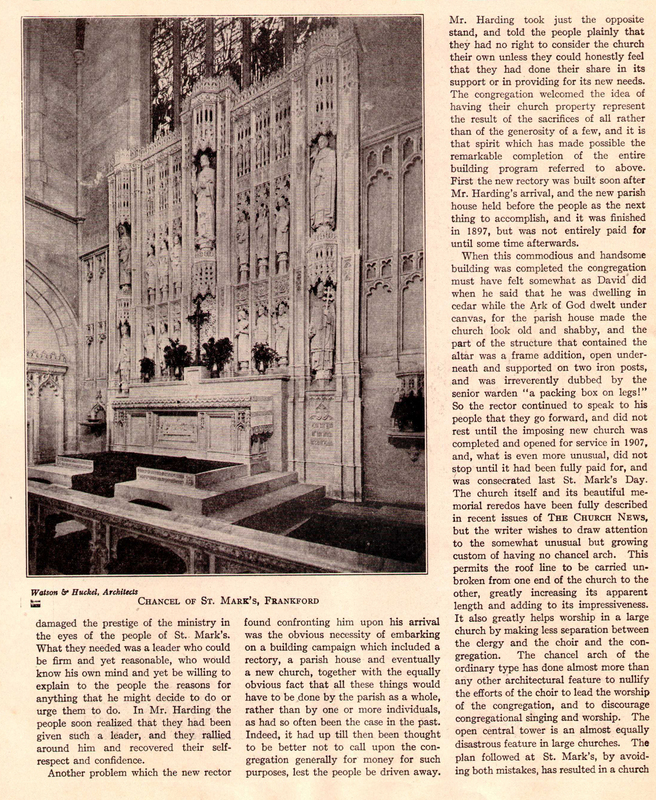 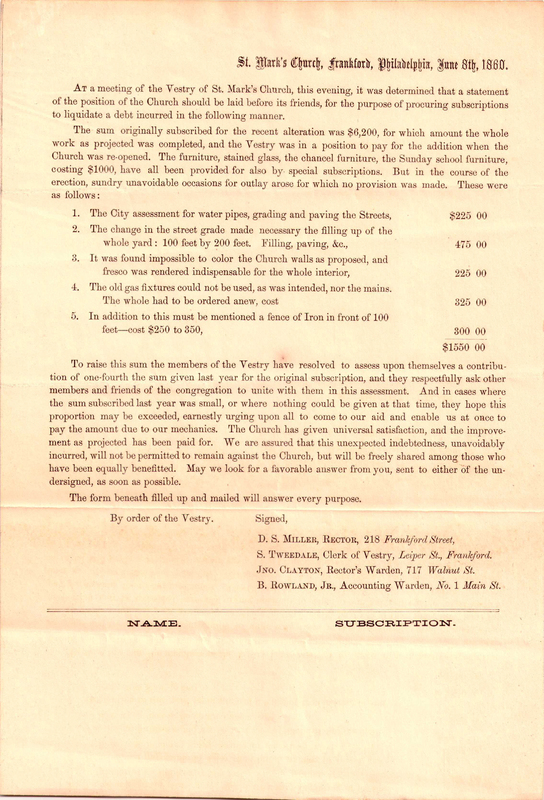 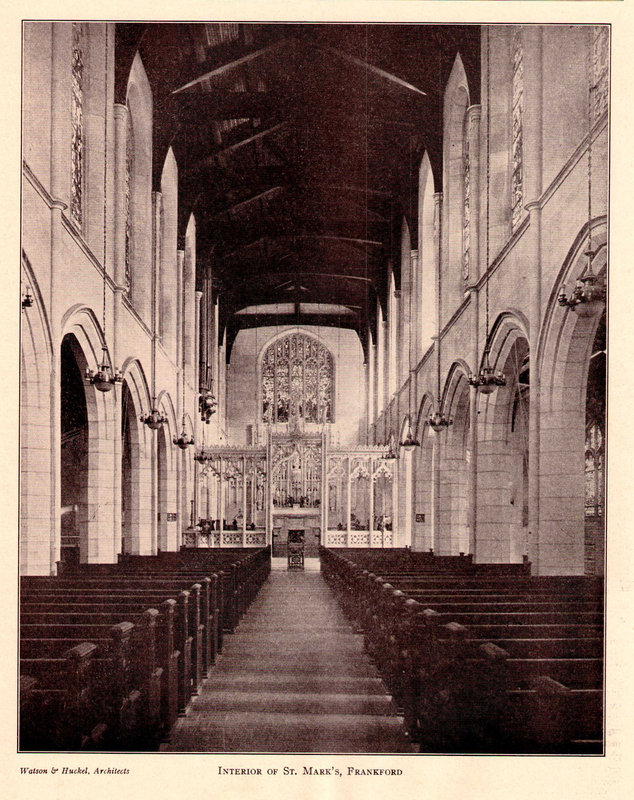 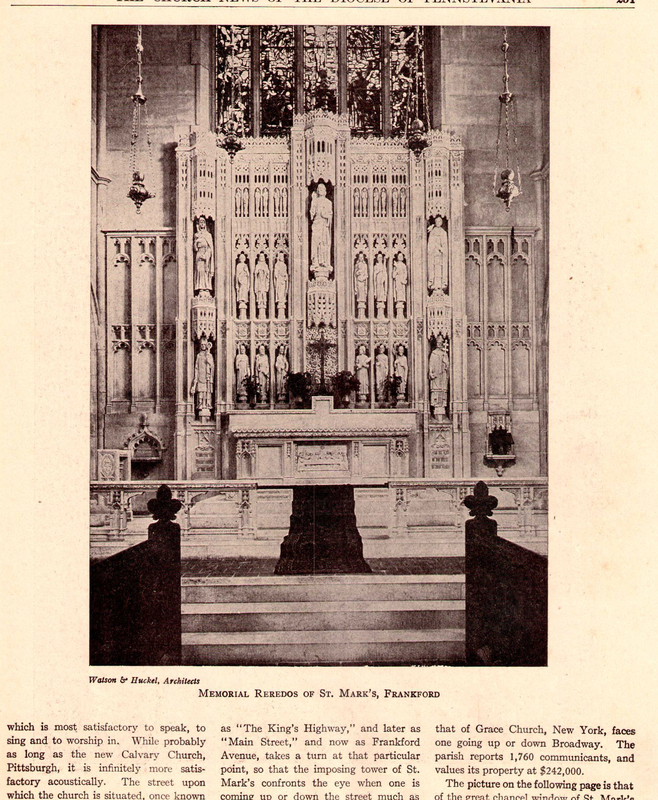 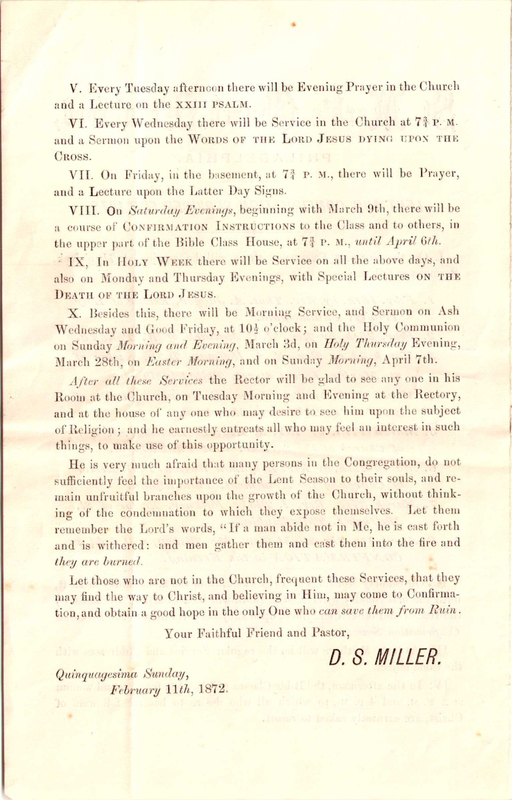 This entry was posted in St. Mark's Church (Frankford) and tagged Church News of the Diocese of Pennsylvania, Daniel S. Miller, Frankford, Frederick Burt Avery, George Sheets, Henry S. Spackman, John B. Harding, Nicola D'Ascenzo, Northeast Philadelphia, Robert C. Booth, Watson & Huckel, William Welsh on August 4, 2014 by mjk38.